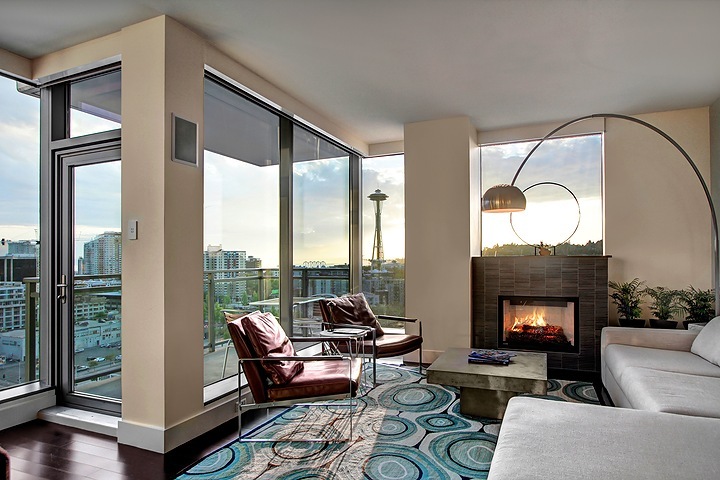 You guys remember this penthouse condo at the Concord in Belltown? It just sold yesterday for $1,520,000 – the asking price was as high as $1,850,000 back in January of 2016. It has an interesting history in the last 3 years. We showed the unit a number of times – it is a very cool corner unit with a massive rooftop deck and hot tub on the second floor above the master suite. Although it showed its age a bit, the unit was clean and had great space. The space is 1,727sf with 2 bedrooms and 1.75 baths. The Concord is a great building as well. Built in 2000, the building has 206 units on 13 floors between the two towers (North and South). The amenities are rich – featuring 24 hour concierge, fitness center, sauna and spa, guest suites, business center and multiple outdoor terraces. 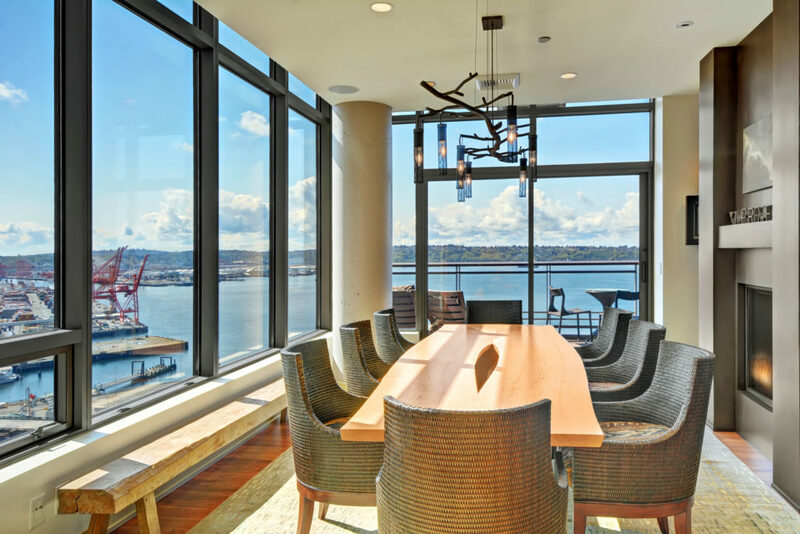 This penthouse is one of many that will sell in Downtown Seattle by year end – just in the last 6 month there have been 16 penthouse sales in Downtown Seattle. 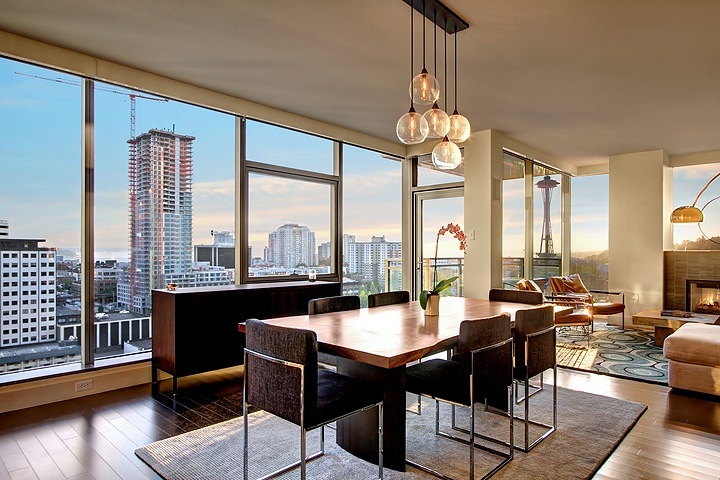 Penthouse buyers are eating up Seattle’s high end condo inventory. 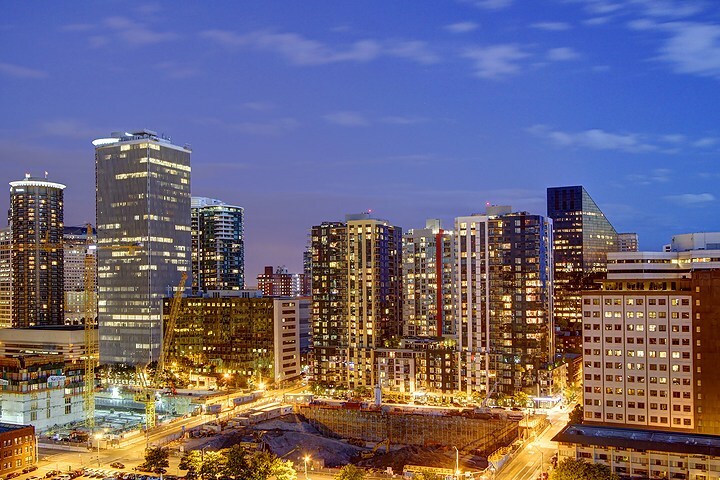 Just in the last 90 days, there have been 22 condos sold over a $1,000,000 in Downtown Seattle. 3 of them were high end penthouse condos. 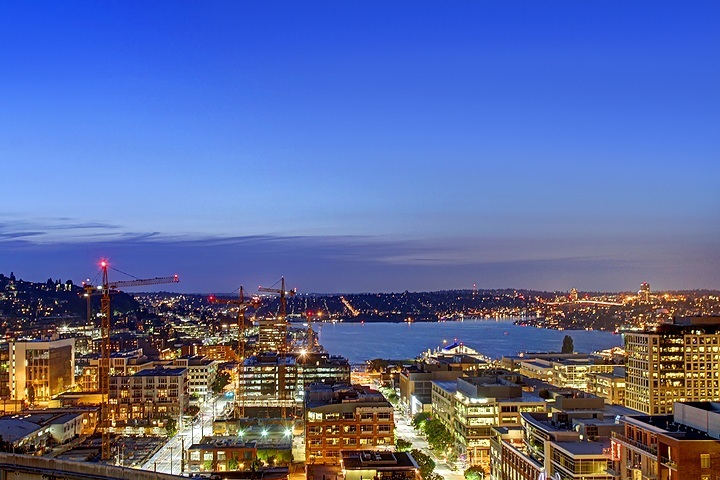 What is remarkable is the pace and price that these luxury Seattle condos are selling for. The average price per unit is $1,967,045 and the average price per foot is $999psf – 9 of the 22 units sold in less than 10 days. 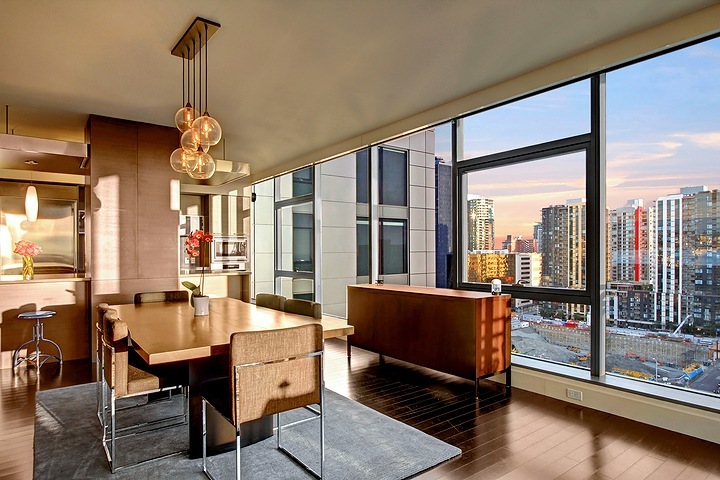 In the month of May alone, there were 10 luxury units sold – including a $7.5M sale that took nearly 10 years of market time before finding a buyer. 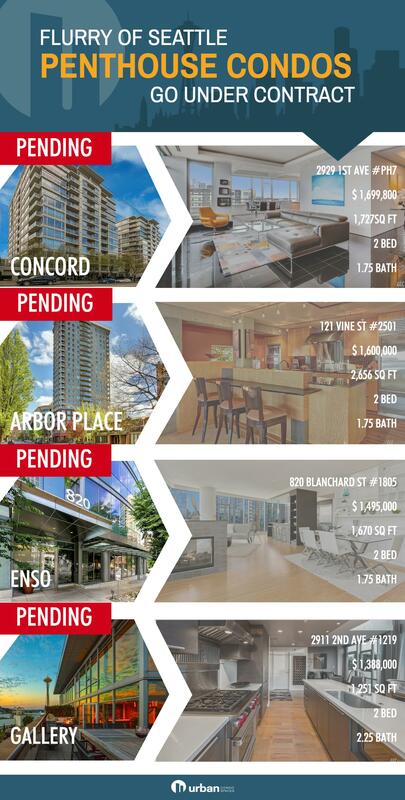 We have compiled a list of penthouse units that just went under contract as well – all four of these unit just found buyers in the last 10 days (See our graphic below). It will be interesting to what they trade for. The common denominator with these 4 units are the views – check them out! There have been a lot of BIG penthouse units on the market this year well – sales have been brisk. 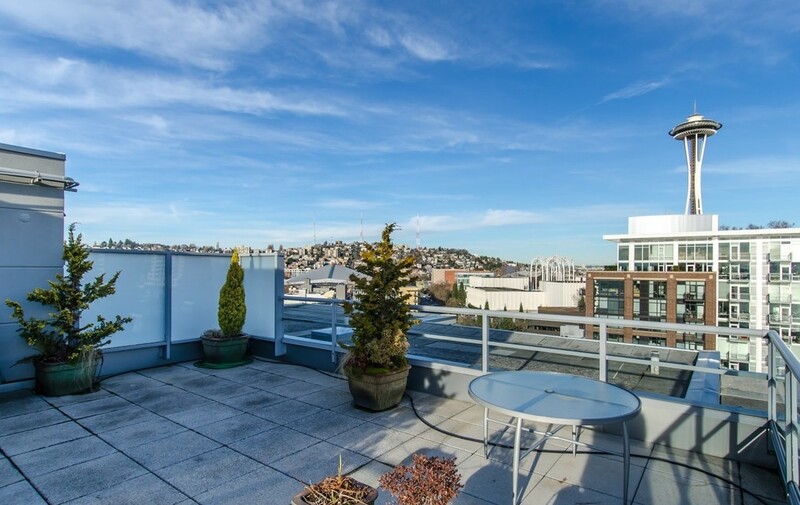 This unit we wrote about last month sold in just 7 days in one of the hottest neighborhoods in Downtown Seattle – Denny Triangle. 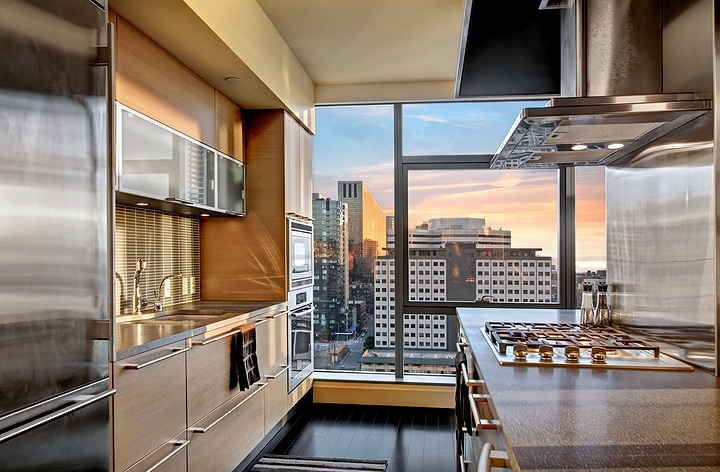 Another day in Downtown Seattle, another multi-million dollar Seattle penthouse sale. The 40th floor penthouse in the North Tower of Insignia Towers just closed in January. The unit was originally purchase for $2,782,000 in August of 2016. Just 5 short months later the 2,284sf penthouse sold for $3,125,000 in just 16 days on the market. The views are INCREDIBLE from the 40th floor space. It offers 2 bedrooms, 2.5 bathrooms and over 2,000sf of living space. 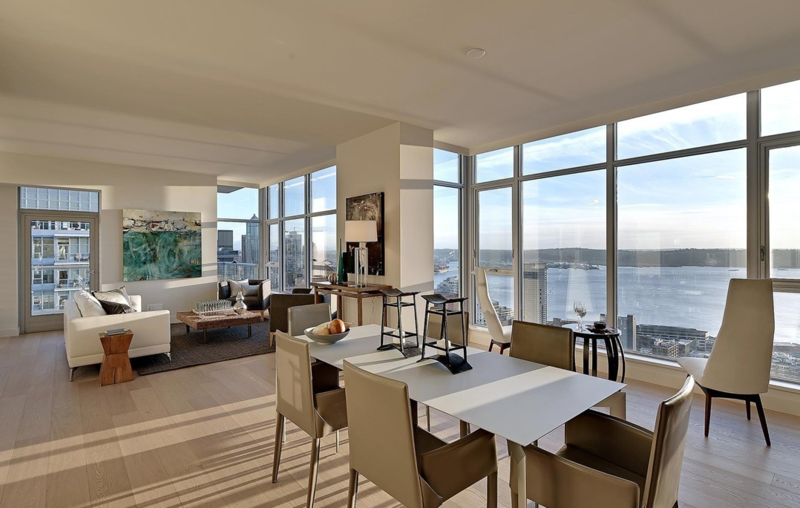 How rare do multi-million dollar condos sell in Downtown Seattle? 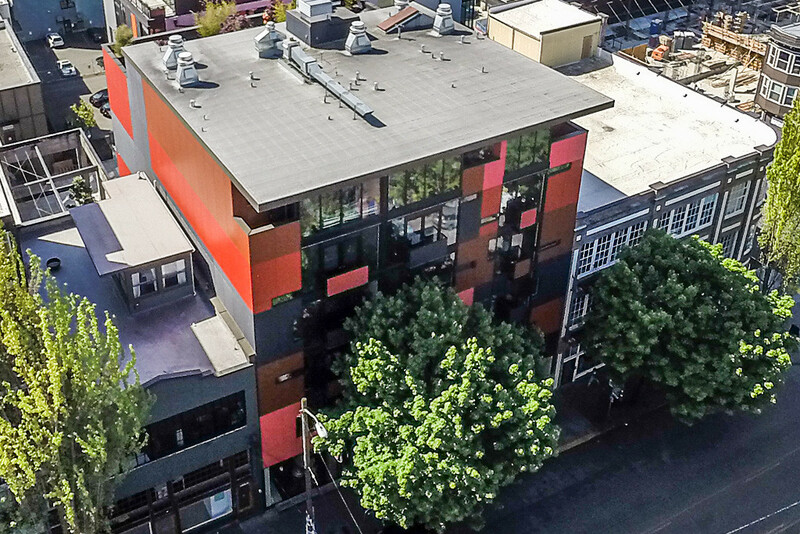 There were 33 Seattle condos priced at $2,000,000 0r more that have sold in the last 12 months – check them out. A penthouse we sold in July of 2016 for $4,900,000 just sold again last month for $4,000,000. 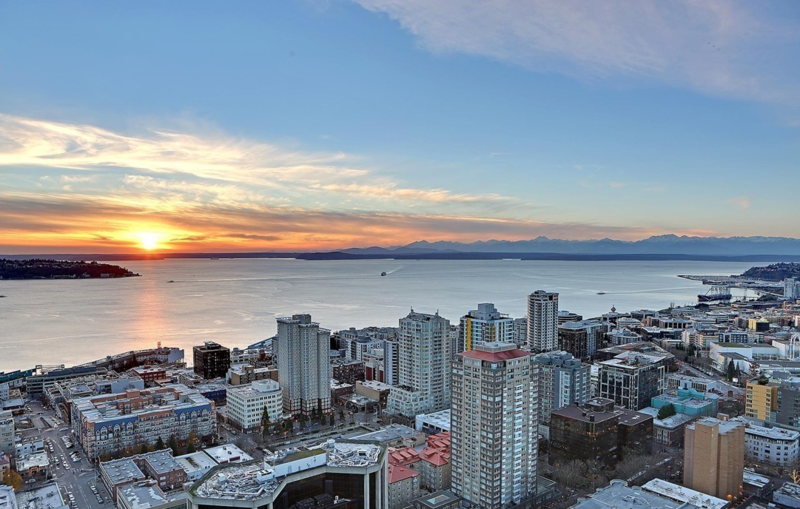 The penthouse at Madison Tower in the West Edge of Seattle just sold for $4,000,000. That marks the second time it has sold in the last 6 months. Our team at UrbanCondoSpaces.com sold the unit in July for $4,900,000. This time around, the seller sold the unit for $4,000,000. Pretty great opportunity for the buyer at $1,069 psf. 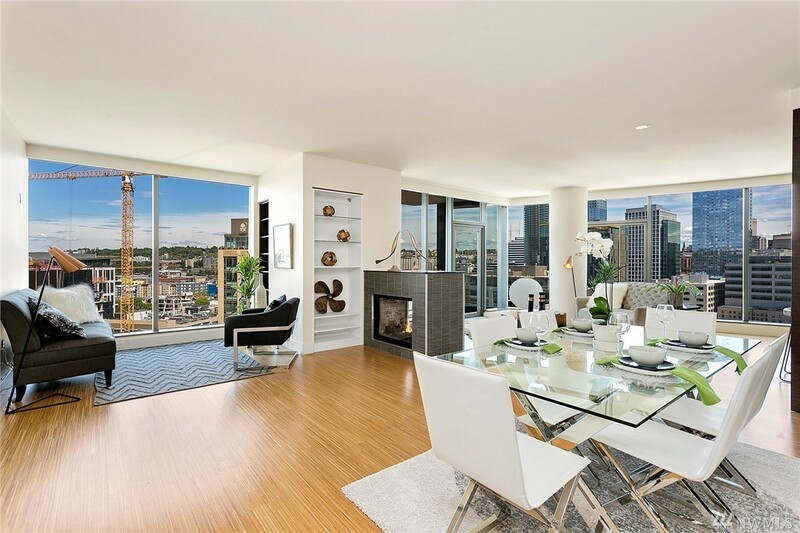 This remarkable penthouse has 3,740sf – with 2 bedrooms 2.25 bath. It shares the top floor with unit 2400, which is another fabulous unit. The 24th floor condo comes with 3 parking stalls and the building is full of amenities – including spa, 24 hour concierge, hotel services, business lounge, meeting rooms, fitness facility, virtual golf and a killer rooftop deck. Madison Tower was built in 2006 and has 47 units. The residences start on floor 15 and up to the penthouse level of 24. The rooftop deck is on the 25th floor. 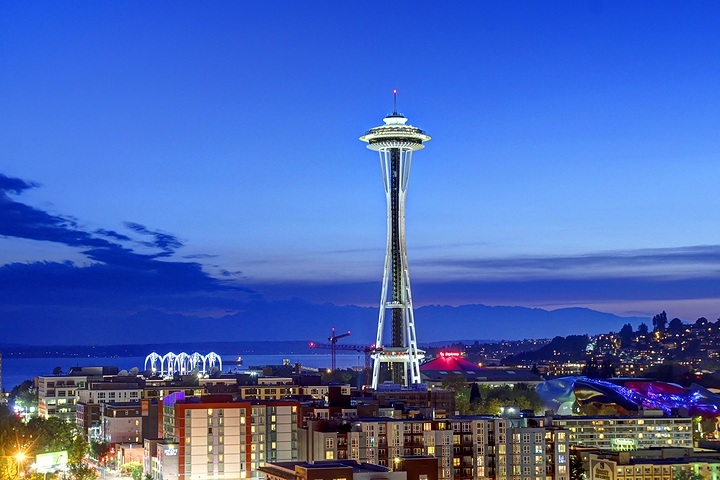 The location is in the West Edge neighborhood of Seattle, south of the Pike Place Market and North of Pioneer Square. 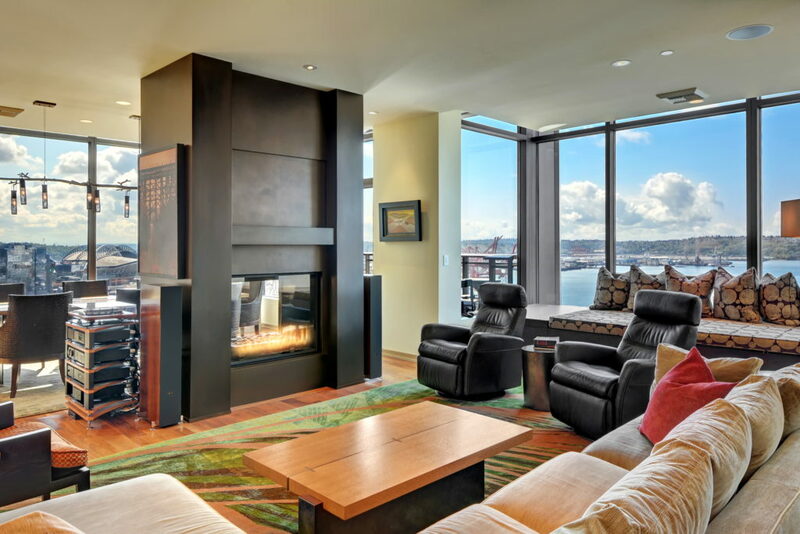 A Seattle Penthouse at 2200 Westlake just traded for $2,300,000. It was on the market for just 38 days. It last sold in 2007 for $2,038,000. The unit has a great view and a spacious private terrace. It features 3 bedrooms, 2.5 baths and 2,216sf. The building shares space with the 5 start hotel – Pan Pacific. 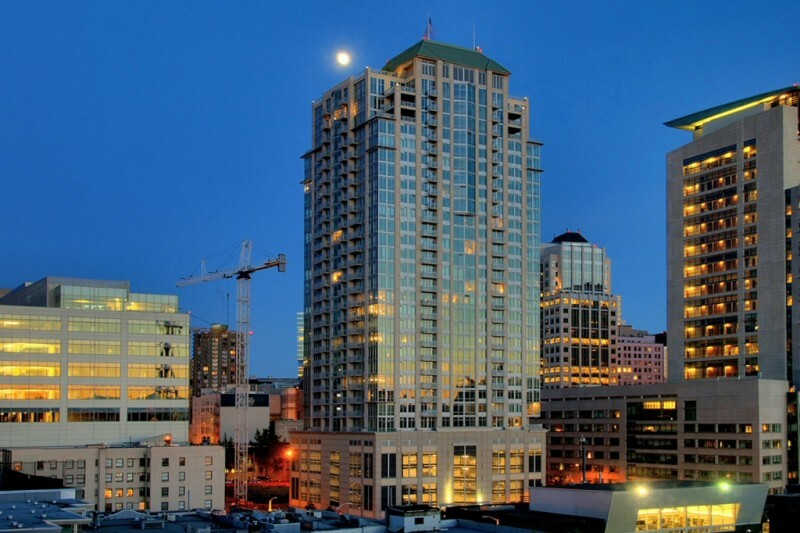 2200 Westlake is often considered a top 10 project in Seattle. 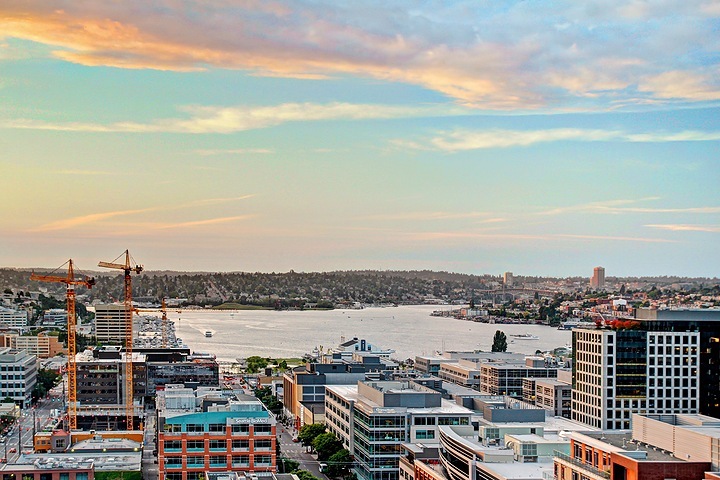 It is located at the epicenter of South Lake Union and benefits from its anchor tenant Whole Foods. 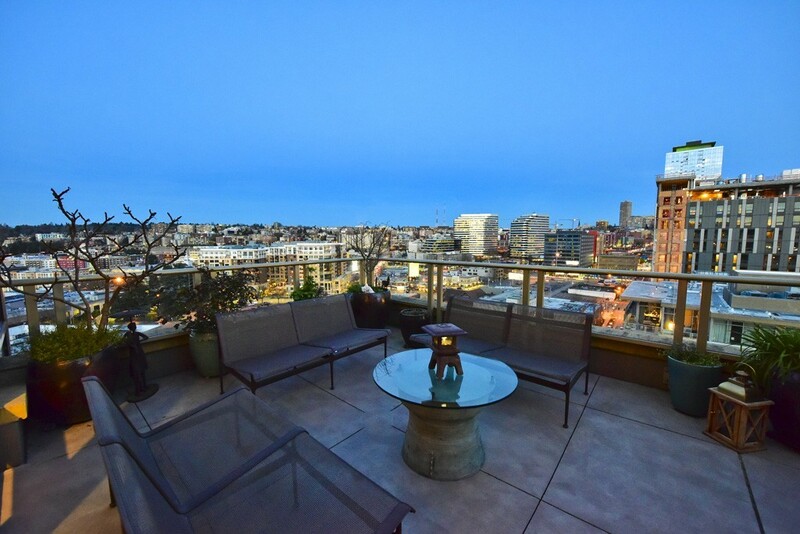 Check out this recent Seattle penthouse sale at Sanctuary. 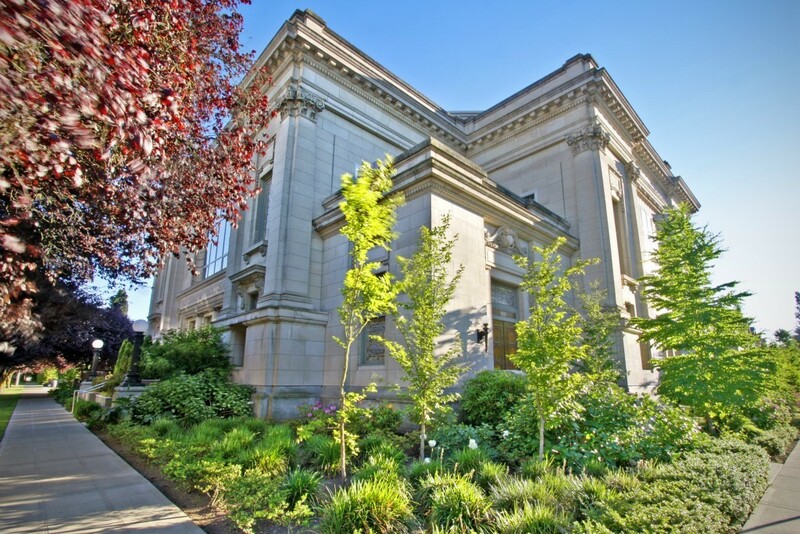 The century-old church on Capitol Hill was recently converted to a 12 unit boutique community and one of the better units in this incredible conversion just sold. It offers 2,610sf with 2 bedrooms, 2.75 baths. Many of the materials were repurposed from the former church. 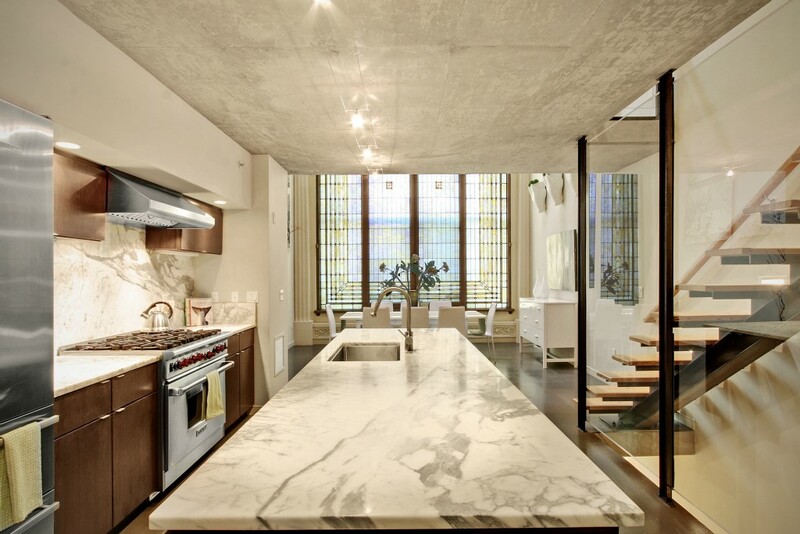 Polished concrete floors, stain-glass windows, marble tops and upgraded appliances. This Seattle Penthouse is un-deniably unique. Our city would benefit from more creative projects just like this. Interested in joining our mailing list to be notified when new penthouse units hit the market? Contact us. The asking price was $1,250,000 and the final sales price was $1,256,789. 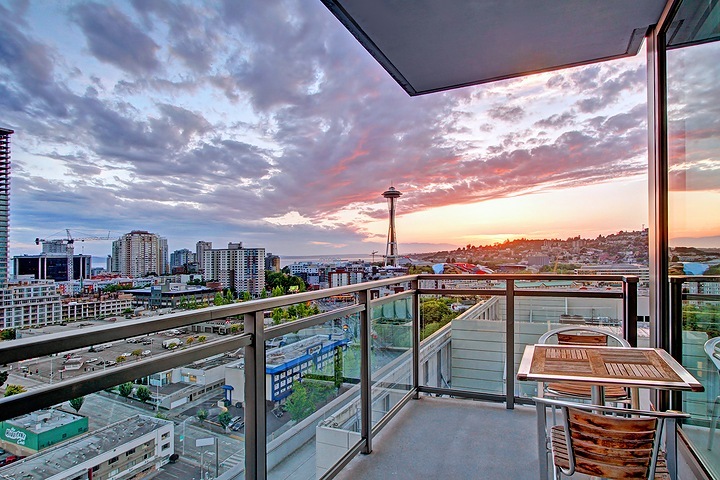 An East facing penthouse at the Cosmopolitan in Seattle just sold for $918,888. 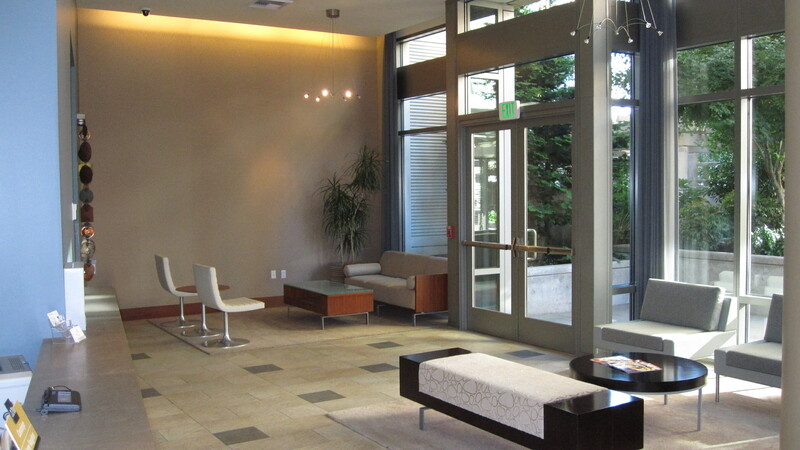 Once listed for as much as $1,499,950, the 1,684sf space found a buyer in 98 days of market time. The space has 2 bedrooms, 2 baths, vaulted ceilings and unobstructed east-facing views. 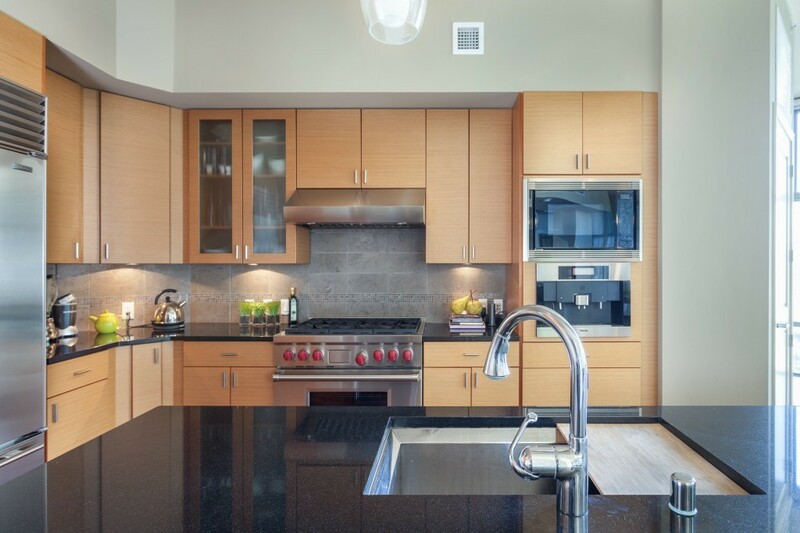 The luxury space built in 2007 has a Wolf range, SubZero refrigeration and other high-end appliances. The previous recorded sales price was $760,000 in August of 2009. The Cosmopolitan is located in the Denny Triangle neighborhood of Seattle. It has 250 units on 34 floors of living space. Amenities include 24 hour doorman, business lounge, homeowners lounge, sauna, steam, view decks and a rooftop deck. 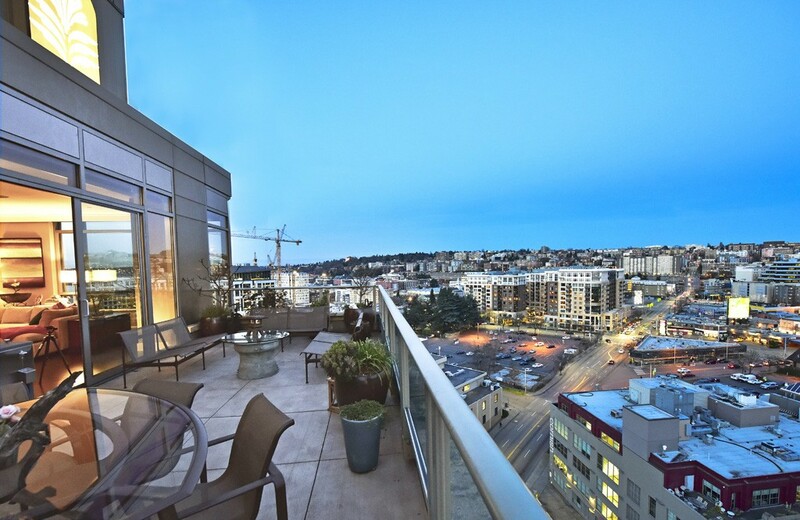 Another Seattle penthouse at Enso condominiums just sold. Unit #1810 is a 1,892sf unit with 2 bedrooms and 1.75 baths. 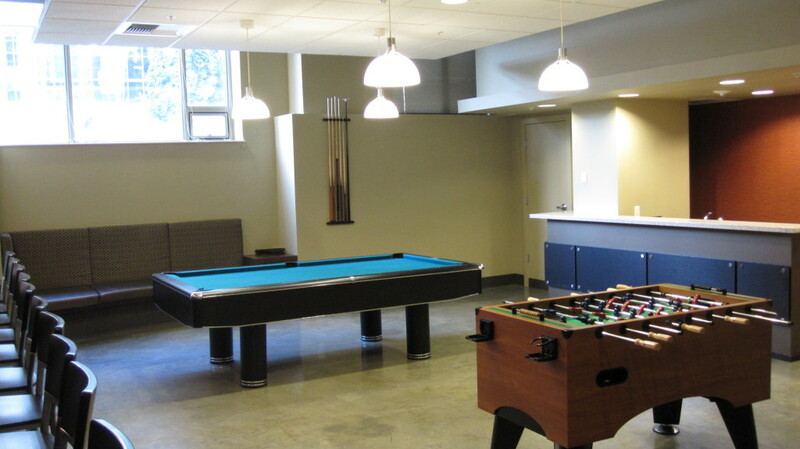 It also features a large den, big views of the Space Needle and Lake Union and has amazing west facing sunsets. Our friends at UrbanCondoSpaces.com sold the unit in less than 48 hours. The penthouse at 1111 East Pike just closed this week. The 1,200sf Seattle penthouse sits atop a Tom Kundig design in the heart of Seattle’s vibrant Capitol Hill. It features 12 foot windows, chefs kitchen and private rooftop. The owners asking price was $825,000 with a final sales price of $835,000. 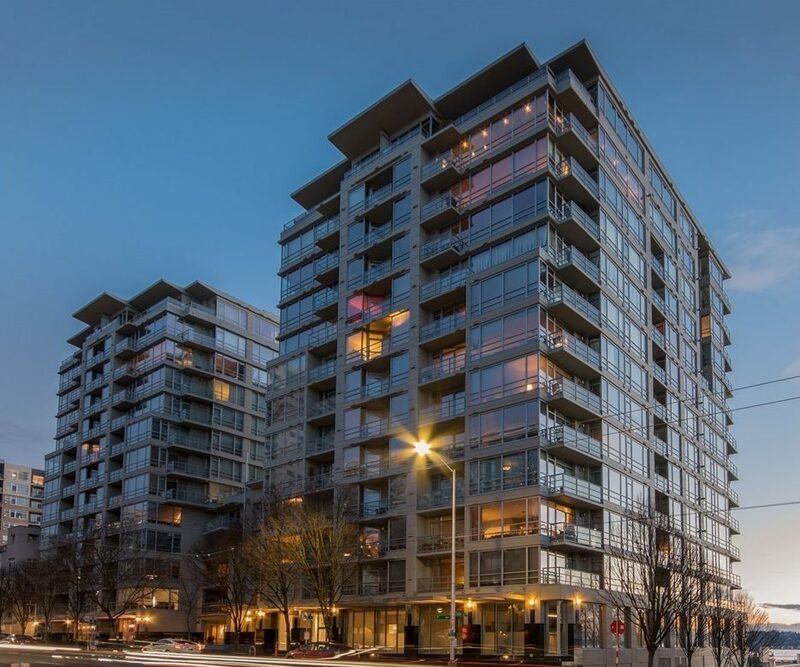 Our friends at UrbanCondoSpaces.com have sold another penthouse. This time in Pioneer Square. 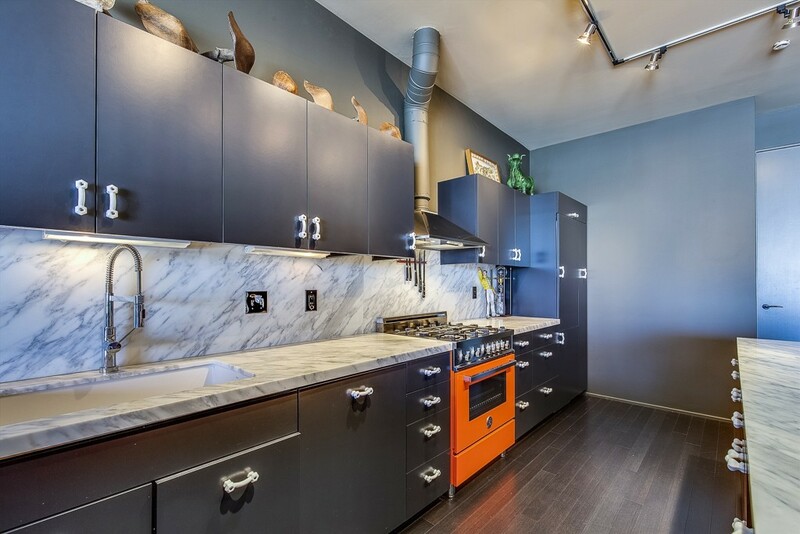 This top floor loft is located at 210 3rd Ave (The Lofts). 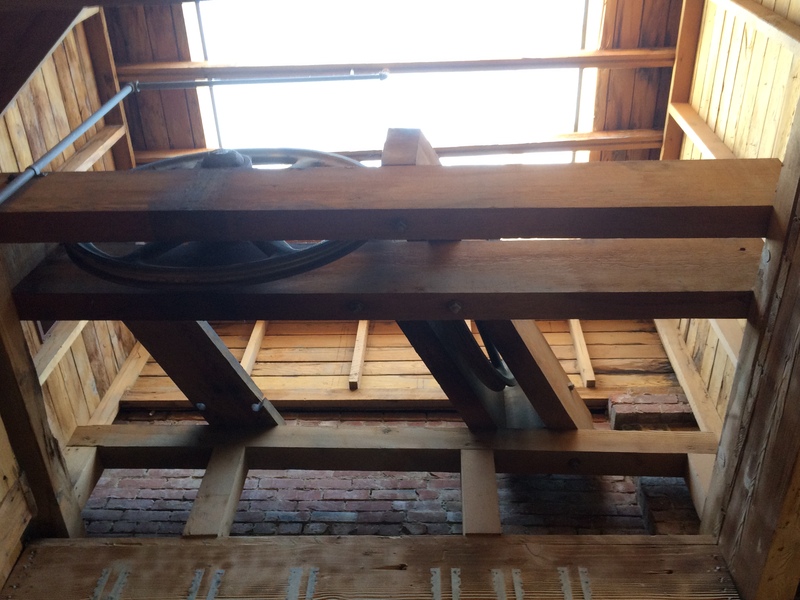 It features original floors, vaulted timber beam ceilings and exposed brick and HVAC. The 1,886sf unit has west facing views and underground parking and storage. Sale price was $639,000.